"To anyone out there, especially young people feeling like they don't fit in and will never be accepted, please know this, great things can happen when you have the courage to be yourself"
In 2014 Sam was drafted by the St. Louis Ram, after being cut by the St. Louis Rams, Sam became part of the practicing squad of the Dallas Cowboys. In 2015 Sam signed with the Montreal Alouettes of the CFL. 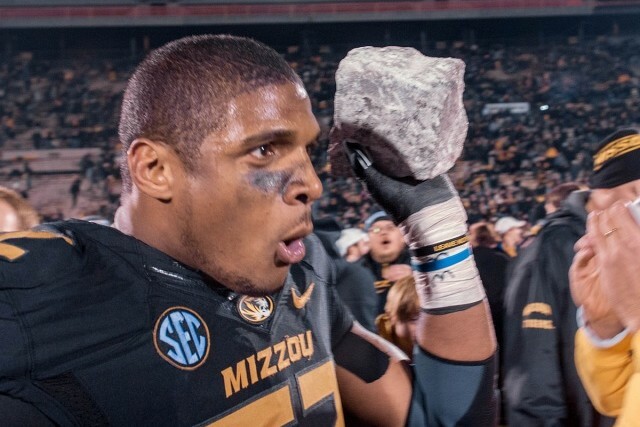 Michael Sam was the first openly gay player to be drafted into the NFL and the CFL. Written on 12th October 2017.